The 2017 Warsaw AV Show is in the books and its visitor numbers tallied: 14,000 14,116 people put their ears in the National Stadium, the Golden Tulip Hotel and the Sobieski Hotel during the show’s three day run. Click here for a video overview. Breaking it down: 1400 visitors (10%) dropped by on Friday, 8400 (60%) on Saturday and 4200 (30%) on Sunday. 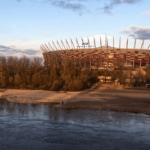 The seriously impressive head count was felt particularly strongly in Warsaw’s National stadium on Saturday at 11am, a mere 60 minutes after doors clicked open. This photo was shot at 11:45am in the Sonus Faber room. Seats all gone. Standers all ’round. Would Sir care to squeeze in along the back wall? News of the latest iteration of Sonus Faber Aida has made a a big noise on the Internet this week; largely the sound of press releases hitting email inboxes. On the ground in Warsaw, grabbing a self-shot photo of the new Aida took some patience. A swift succession of “Excuse Me”s freed this commentator from the back wall for a close-up look-see. The Aida will sell for €82000/pair when they go on sale next month. 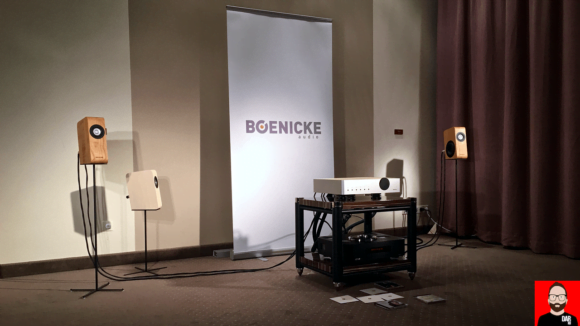 For seriously deep wallets but also for those with sufficient funds for the requisite performance-appropriate electronics and listening room. 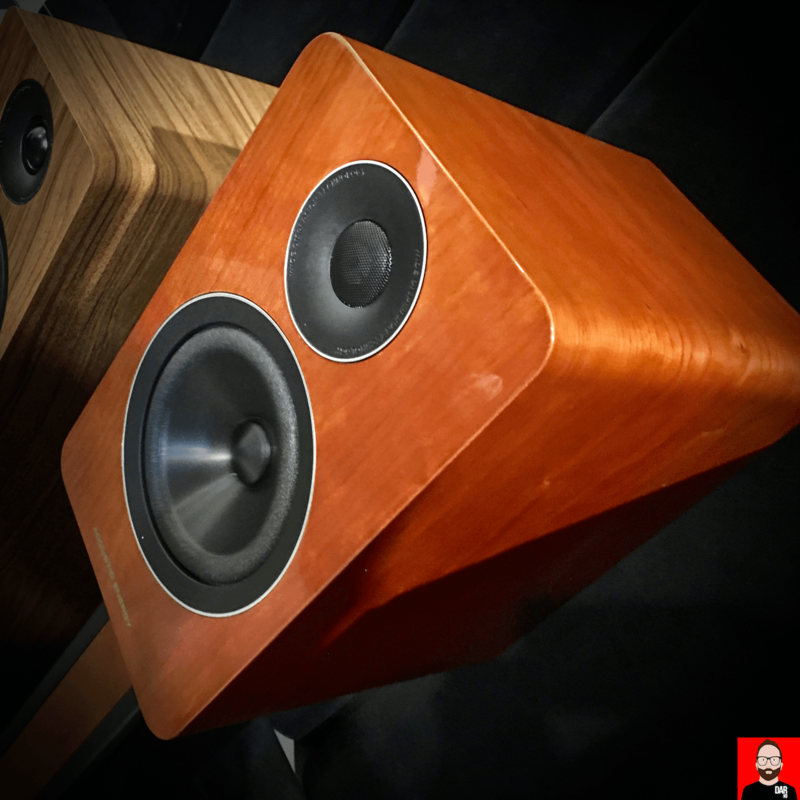 Bringing things down to earth on price, the Manger P1’s in-house designed Sound Transducer (see header image) continues to captivate show audiences and intrigue yours truly. 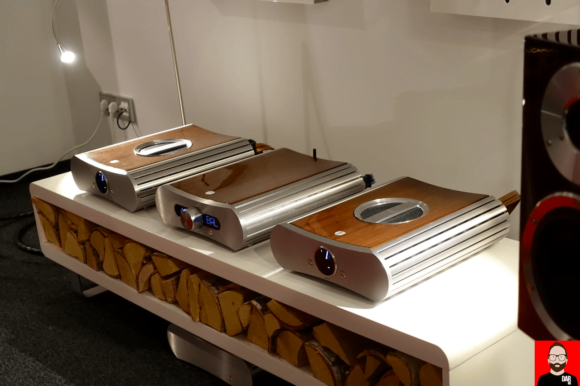 I try to imagine what it might sound like ‘naked’, SAM-d by a Devialet Expert amplifier, crossed over to its LF-augmenting bass driver by a Linn Exakt or fully activated in house (per the S1). Sven Boenicke’s W5 isn’t new to the world but it’s relatively new to me. And after a long listen in the Gold Tulip Hotel in Warsaw I’d peg it as the apartment dweller’s dream mini monitor. The W5 packs a punch down below – thanks to a 5.25″ side-firing, long-throw bass driver – and offers airiness aplenty up top – thanks to a rear-firing ‘ambience’ tweeter. The front facing 3″ widebander takes care of the rest for a quite frankly sublime package. Pricing starts at €4000/pair for the standard version. You’ll need grand more for the SE version that offers a longer-throw bass driver run without crossover. The SE+ version (€TBC) adds “electromechanical series resonators” to both drivers and an even higher-specc’d crossover. 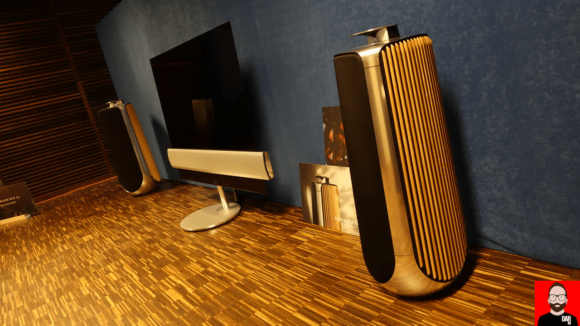 Die-hard audiophiles like to pour cold water on Bang & Olufsen‘s attempts at high end loudspeaker design because they think that if something looks good, irreconcilable compromises must’ve been made somewhere. Let’s assume for a moment that they are correct. 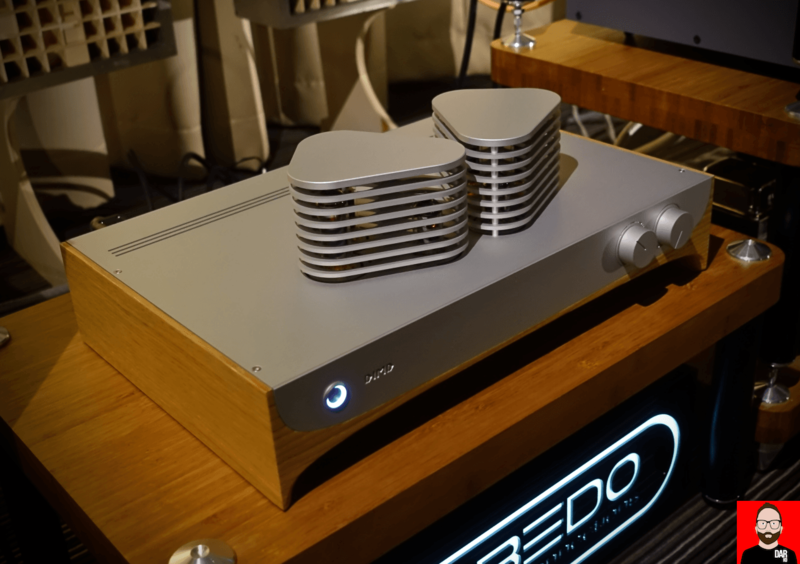 I’d still take a pair of the Beolab 50 (US$38000/pair) over most passive designs because B&O have removed the “Which amplifier?” lottery to add bespoke fit internal amplifiers to each driver and cross them over in the digital domain for a tailored frequency response that’s considerably tricker in the passive domain. In-built room correction comes as part of the deal. 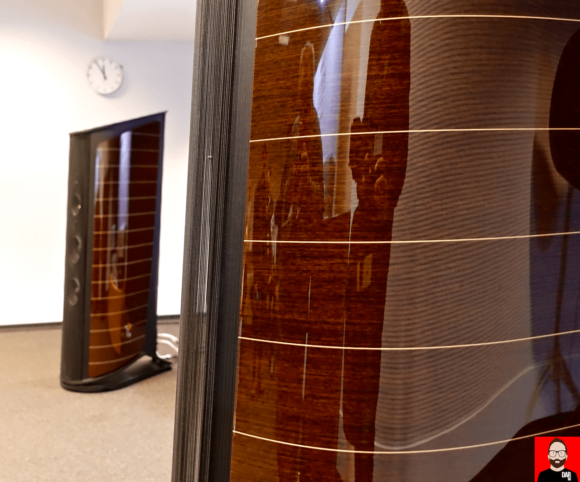 Oh – and they look a darn sight more interesting than your average high-end box loudspeaker. Looks matter because it’s fun to look at nice things. And judging by the crowds gathering around (out of shot) in Warsaw, the Polish seem to agree. 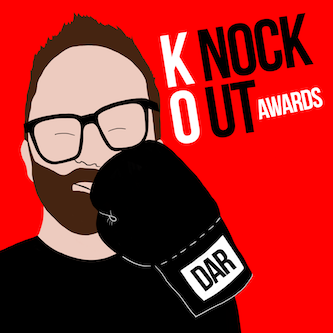 Perhaps that’s because show organiser Adam Mokrzycki spends big money spent on Facebook and local radio promotion to bring in more than just audiophiles. 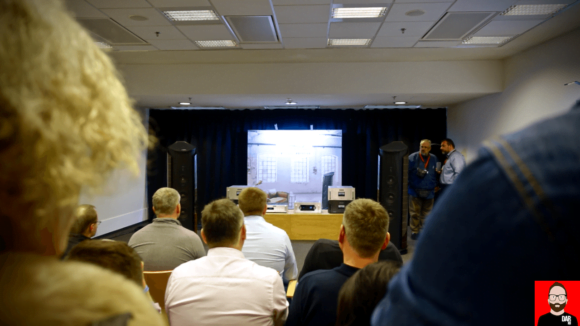 “Audiophiles come for free”, he says. “It’s the average guy that costs money to reach”. And reach them he does. 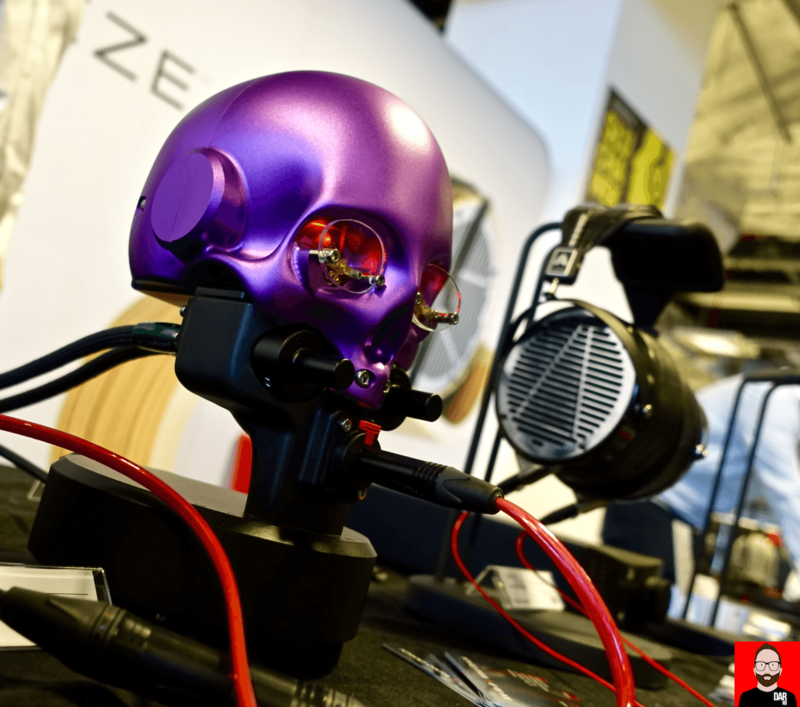 Easily the coolest looking headphone amplifier on the planet right now is the Marquis “Momento Mori” from Metaxas and Sins. Price? A cool £6000. But look at that thing. Other amplifiers might offer better sound quality but will they bring as much daily enjoyment? Aesthetics matter. 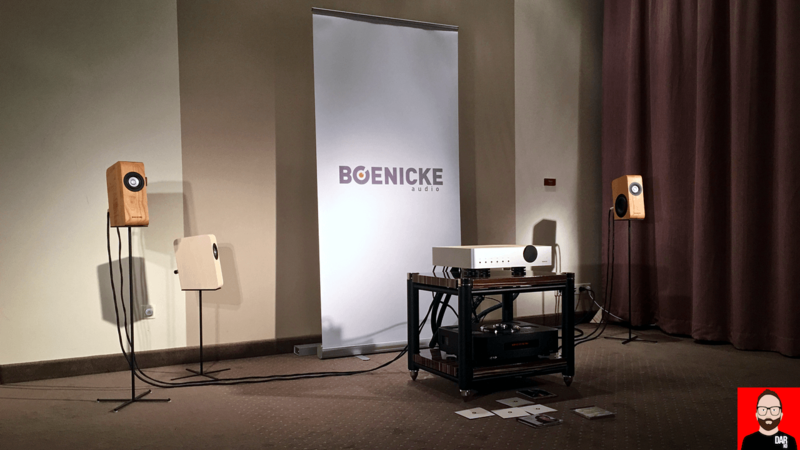 Kostos Metaxas – recording engineer, Greek Australian, Netherlands resident – has since applied his art-meets-audio-science approach to his Ikarus integrated amplifier. From its ribcage of CNC-milled alumunium spills 50wpc into 8 Ohms. Between volume control and source selector dance VU meters. The audio world needs MUCH more of this where desire kicks in prior to listening. For audiophiles who like to tinker with their gear, digitally active loudspeakers like the B&O and KEF LS50 Wireless present a conundrum: their optimal performance lock amplifier and DAC in the loudspeaker enclosure but lock end users out of swapping electronics and cables in and out. The UK’s Acoustic Energy have been teasing their AE1 Active for almost twelve months and should be more on more people’s radars because they put drivers – 13cm ceramic-coated aluminium and 2.5cm aluminium dome tweeter – and bespoke fit Class A/B amplifiers plus 4th order active crossovers in an handsome (black, white, wood veneer) enclosure for £1000. Unlike the aforementioned KEFs, the AE1 Active run with an all-analogue architecture so that end users still get to hook up DAC and streamer of their own choosing to a choice of balanced XLR or single-ended RCA analogue inputs. 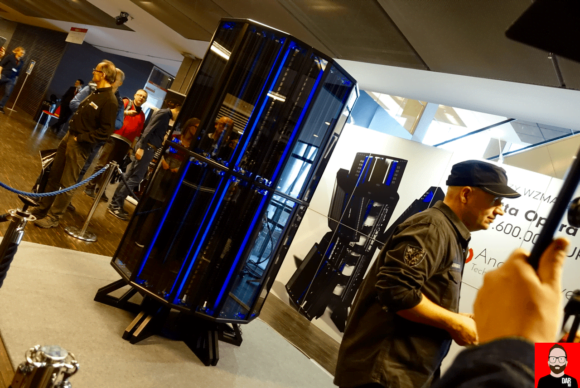 Wanna know what €1.6m worth of amplifier looks like? Wonder no more. The Italian-made Pivetta Opera Only promises stability down to a single Ohm whilst delivering 6 x 20kW into 8 Ohms. That this 2.5m tall blue beast/beauty runs in Class A makes it ideal for those long, cold Polish winters. The Devialet Phantom, in its (recently-‘Elevate’-d but price-dropped) base, Silver and Gold versions remains the epitomé of Future-Fi. 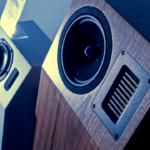 Per B&O, the grumpier end of the audiophile sector like to sneer; but as one reviewer colleague neatly surmised, their initial prejudicial complaint of “There’s no way an enclosure like that can deliver low bass” has since moved to “There’s too much low bass”. Damned if you do, damned if you don’t. 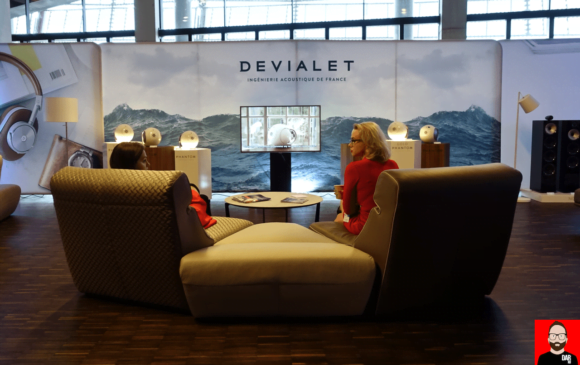 Luckily for Devialet, the Phantom’s ease of use, (literal) hands-on setup, streaming focussed software, killer imaging and transparency talks to people far beyond the audiophile ghetto. 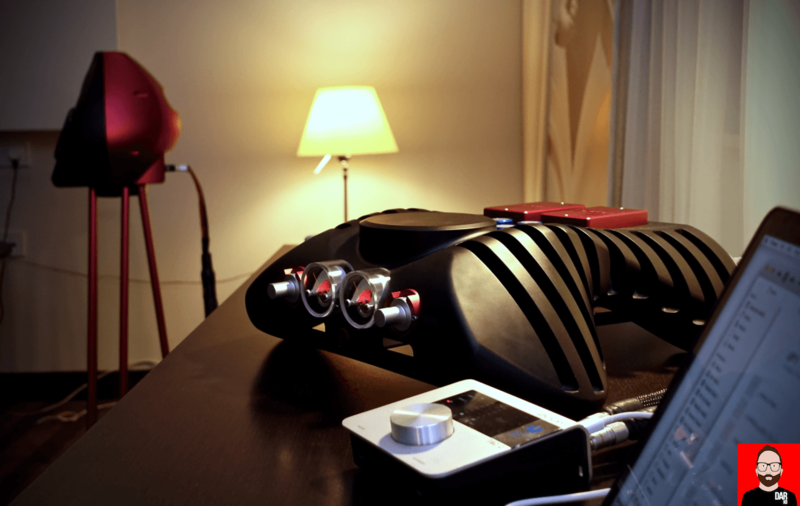 More power to this fantastic French audio company. How about something more traditional but wrapped in 21st Century clothing? The little-known DIMD PP10 tube amplifier €3250 is handmade with point to point wiring in Riga, Latvia. ECC83 pre-amp stage tubes, EL34 at the business end for 10wpc into 8 Ohms. The PP10’s CNC-d aluminium enclosure sits in a CND-d oak cabinet. A combination of wood and metal is also the calling card of Denmark’s Gato Audio whose PWR-222 monoblocks’ “TwinFET” (500 amp MOSFET x 2) technology offers 250wpc into 8 Ohms. £11K/pair. 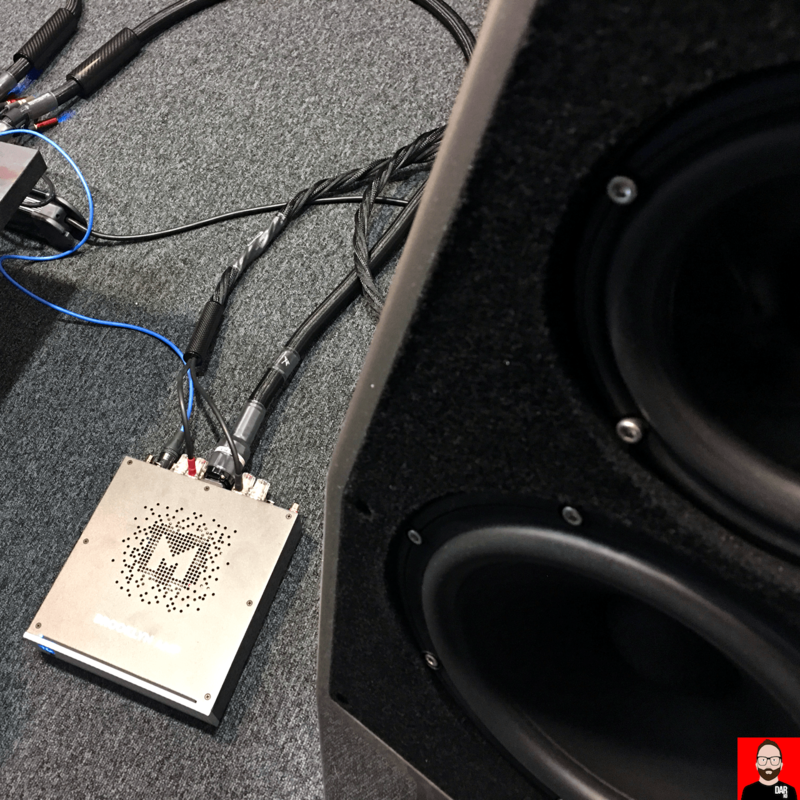 In Warsaw, the VU-metered monos could be heard and visually admired working in tandem with Gato’s PRD-3S pre-amplifier that can be fed in the analogue domain via RCA and balanced XLR socketry or digitally via coaxial, TOSLINK, USB or Bluetooth. £2900. 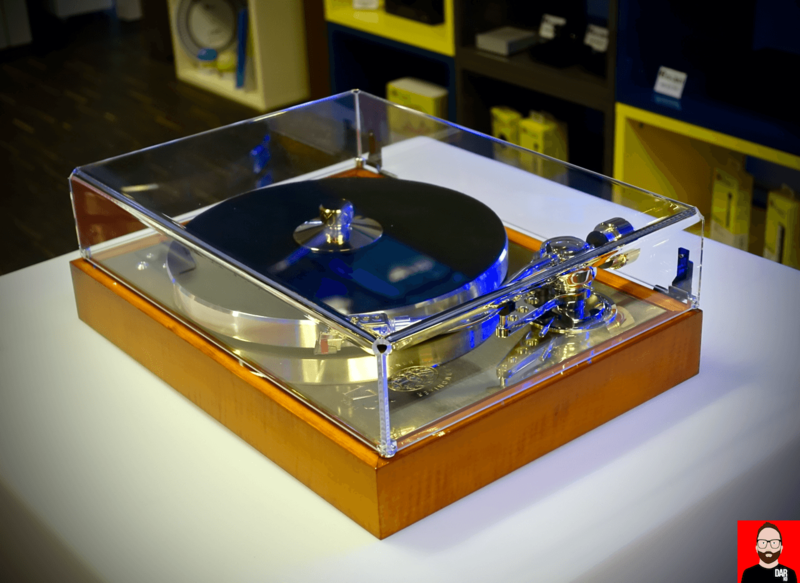 Continuing with our wood and metal theme, the 175 Vienna Philharmonic turntable from Pro-Ject has none of the sleek minimalism of their entry-level models. This beauty will be made as a limited edition to mark (you guessed it) the 175th Anniversary of the Vienna Philharmonic. Once finalised, pricing will reportedly sit somewhere between €7000 and €8000. Mytek had their shoebox-d Class D Brooklyn amplifier (US$1995) hooked up to a pair of Wilson Audio loudspeakers, fronted by the recently-announced Brooklyn+ DAC-preamplifier (US$2195). And when I stopped by, the Warsaw-based manufacturer could be heard winding the wick on some dubstep. 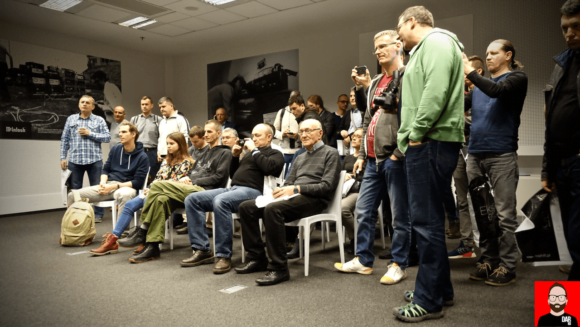 More than any audio show hitherto visited by this commentator – and I’ve racked up a lot of airmiles doing so – exhibitors in Poland were less afraid to break from the norm of the Mogadon music heavily associated with audiophile gatherings. A fun fact to finish: 800 819 of the 14000 visitors were young-uns taking advantage of the Warsaw show’s free entry for under 16s.